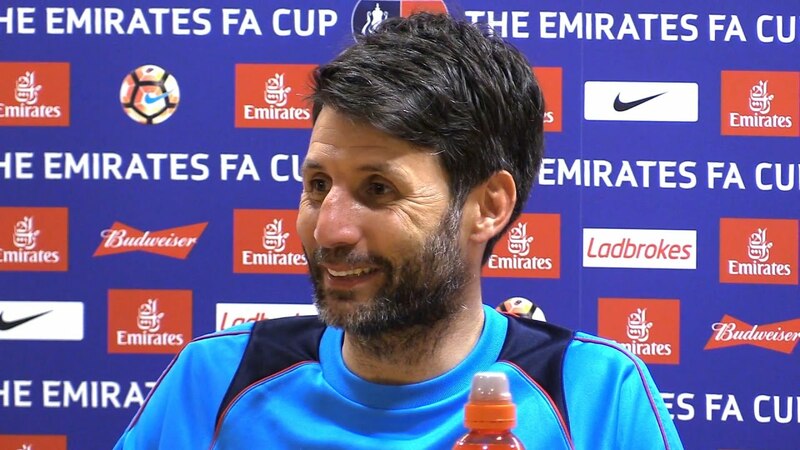 James Rowe interviewed Lincoln City manager Danny Cowley, discussing his playing career, managing Lincoln City, and of course their famous FA Cup run to the quarter finals in 2017. How are the preparations going ahead of the 2018/ 2019 season? I believe that it has gone well and that we have had a good pre-season, but also a very tough pre-season in terms of matches playing four championship teams in Norwich City, Sheffield Wednesday, Hull City and Blackburn Rovers. We finished playing away and winning at Scunthorpe United before defeating a very strong Derby U23 team which featured players with Premier League experience. It has been great because we have just made the move into our new training centre, which has been the legacy of the back of the FA Cup run that we had. We went from training at an army barracks near a school to having an elite performance centre which will be massive for us going forward. You achieved promotion to League Two from the National league, have you noticed a big difference between the two leagues? Yes. I have been lucky enough to have five promotions now and I think that this is the biggest jump, definitely. I anticipated the jump from the conference South to the National League in the past, and in the way that the finances are structured. The money available to Football League clubs means that teams have got bigger budgets and more staff. The standard of play in League Two is better and team’s are well organised and physically fitter, too. When we were in the National League we ran over most teams in terms of physical fitness and I always felt that we won a lot of matches in the last 15-20 minutes due to our superior fitness, but it is much harder to do that in League Two. We found it a big jump, but we are actually really proud of our achievements last season, able to be competitive week in and week out, reaching the play-offs, and obviously winning the Checkatrade Trophy. What is the objective for Lincoln City this season? We are always looking to improve on what we did the previous year, and we managed to get into the play-offs last season so the aim now is to go one further than that. We are very respectful of the league, and League Two is tough with very good teams who are more established than us in terms of their history and the time they have had in the football league, but we feel that we are on an upward curve. We have magnificent support. We took 30.000 supporters to Wembley and have sold 7,000 season tickets this year. It’s been incredible, so the pressure is always to create a team that is as good as our supporters, that is our challenge. Can I ask you about your playing career Danny? You are now well known as a manager, but how do you look back on your playing career? I was at Wimbledon as a youngster from the age of 10 -16 years old. I then spent the early part of my career with Dagenham & Redbridge, having a period at Hornchurch and Harlow Town. I had a good non-league career and I loved playing football, but unfortunately my playing career ended at 29 and I never really saw it coming. I ruptured one of my hamstring tendons off the bone. I underwent a number of operations and 18 months of physiotherapy, but I could not quite get back to where I needed to be to play at the level that I wanted to. You then face that decision at the end of your career of what do you do next. My brother Nicky had offers and one of those was Concord Rangers. My contacts at the club, plus persuading them that I could get my brother to sign for them, convinced them to allow me to become joint manager, and it all kind of went from there really. You touched on it earlier Danny, the famous FA Cup run, and what a great performance it was. How do you look back on it as a manager, and did you receive any words of encouragement or compliments from the teams that you defeated? All the managers we faced were all brilliant with us to be honest. Mick McCarthy was really good, so down to earth and straight talking. He was very complimentary in how competitive we had been in the matches. And then Chris Houghton too. It was lovely. We won a special achievement award at the LMA’s, and I think that we were the first non-league team to win an award. and he presented it to us which was incredible. It was the 25th anniversary of the LMA’s and all the 25 previous winners were in attendance. It was just a room full of your role models and idols, and very overwhelming. After the Arsenal match Arsene Wenger was great. We spent about 90 minutes after the match with him and we were literally peppering him with questions. To be fair to him in the week leading up to the match against us Arsenal lost heavily to Bayern Munich and he got pelted by the media, and yet he was still willing to give up his time and talk about the game. You can see how much love and passion he has for the game, and it was incredible. We spoke about training and schedules, team selection, and when we tell the players and all these things. Obviously we are miles apart in terms of league standing, but you realise that some of the decisions that you are making are very similar even with regards to the levels. As an Arsenal fan living in Amsterdam, I attended that match and I think that everyone connected with Lincoln City acquitted themselves really well and you can be very proud of yourselves. It was a good day. The first 45 minutes we did really well and second half was particularly long. It was a bit like watching your best mate get beaten up whilst you are holding the jackets. By the time Arsenal got confident off the back of their first goal, they were difficult to stop. It was an incredible run and I think that the best thing that come out of it for us is that we were able to keep our feet on the floor. The boys were brilliant and they did not get ahead of themselves. That we were still able to maintain our league form and go on to win the league and gain promotion — to do that off the back of playing 65 matches was an incredible effort from the players. How do you feel as regards to future ambitions. Do you have specific ambitions in football? Are there particular things that you would like to do? I think for us we are really ambitious and we would like to manage at the highest level possible, but at the same time we have ambitions in this journey at Lincoln City. We always like to build something. I spent eight years at Concord Rangers and I had plenty of opportunities to leave in that period to better clubs and earn more money, but for us we like to build something. Once you build something, continuity is a rare thing in football and I value that. Sometimes I see managers that move at the first opportunity, and whilst I understand the reasons behind that, for me the reward is always in trying to build and create something. We managed to do that at Concord Rangers and, due to the success. that opened the opportunity to go Lincoln City. Finally, Danny, you are still very young and highly thought of. As someone who is from the UK who has left to live and work abroad I am curious… Would you ever be interested in plying your trade abroad as a manager? Is that something that would interest you? I think it would be a great challenge. I look at the foreign managers that come to England and I always really admire how they are able to communicate so effectively in a language which is not their first. I am always impressed with people than can do that. For English managers, to try and learn a different language is something that is very important if we are going to be able to improve our reputation in the world game. 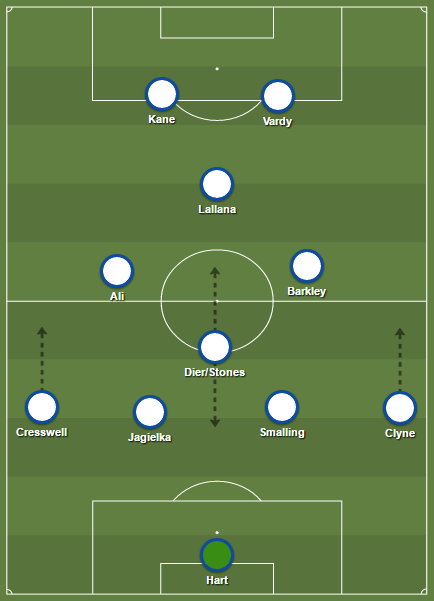 At the moment, maybe the rest of the world pigeonhole English managers in a certain way, playing in certain styles, and not being able to take their management techniques and style of play to other countries . I think that there are some barriers to be broken down in terms of that. I think that England manager Gareth Southgate has done an amazing job in promoting young English managers, and he has gone about it with fantastic communication skills. He has also worked really hard to get the media on side, and the group of players he has got. He has been brave with his decision making and he has found a way of getting the best out of our English players, breaking down some of those ideas that we can only play in a certain way and certain style. He has given the players confidence and belief and freedom. You have seen in this summer’s World Cup, when you give young players that, what they are capable of. I was lucky enough to meet Gareth Southgate at the LMA awards. He was really kind and spent some time with us. He has been brilliant for England and young coaches as well, and it is really exciting for the future.